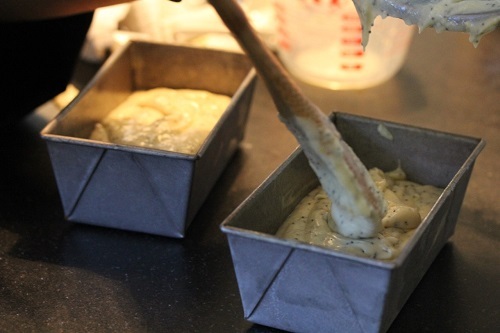 Grease bottoms and sides of small loaf pans. 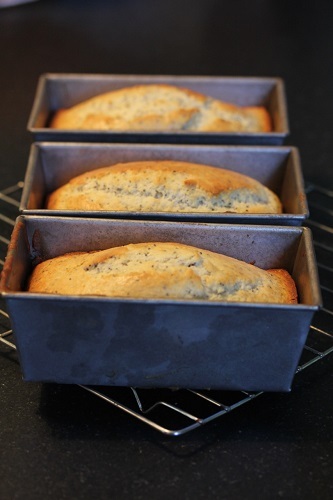 Mix together flour, sugar, baking powder poppy seeds, and salt. Combine milk, eggs, melted butter, lemon zest, and vanilla, and add to flour mixture, mixing until just moistened.